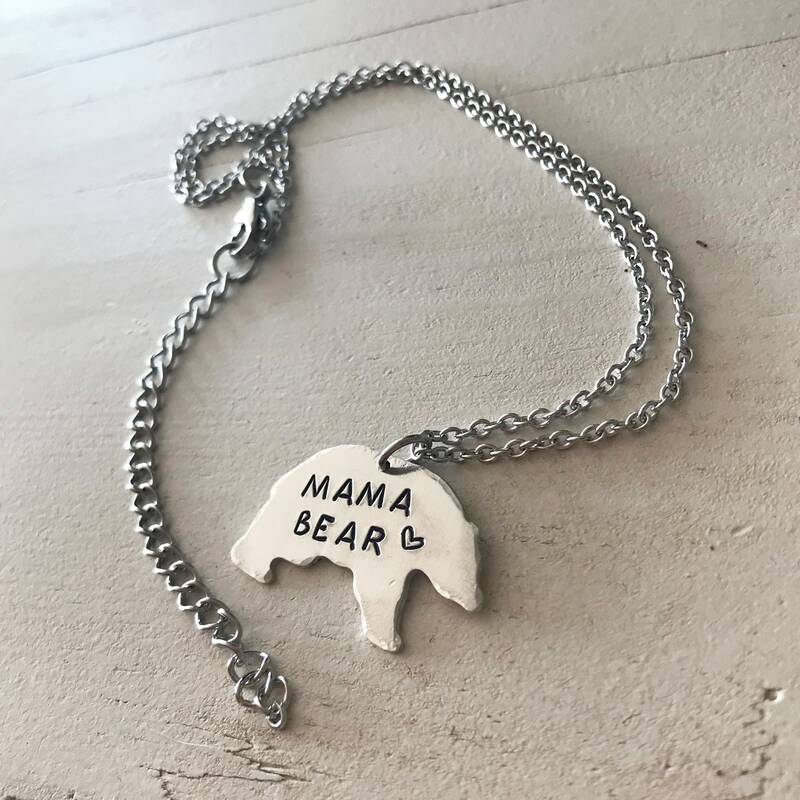 -"Mama Bear" is hand stamped into a 1 1/4" by 3/4" aluminum bear. - The edges of the bear have been hand textured. - The chain is made with strong stainless steel. 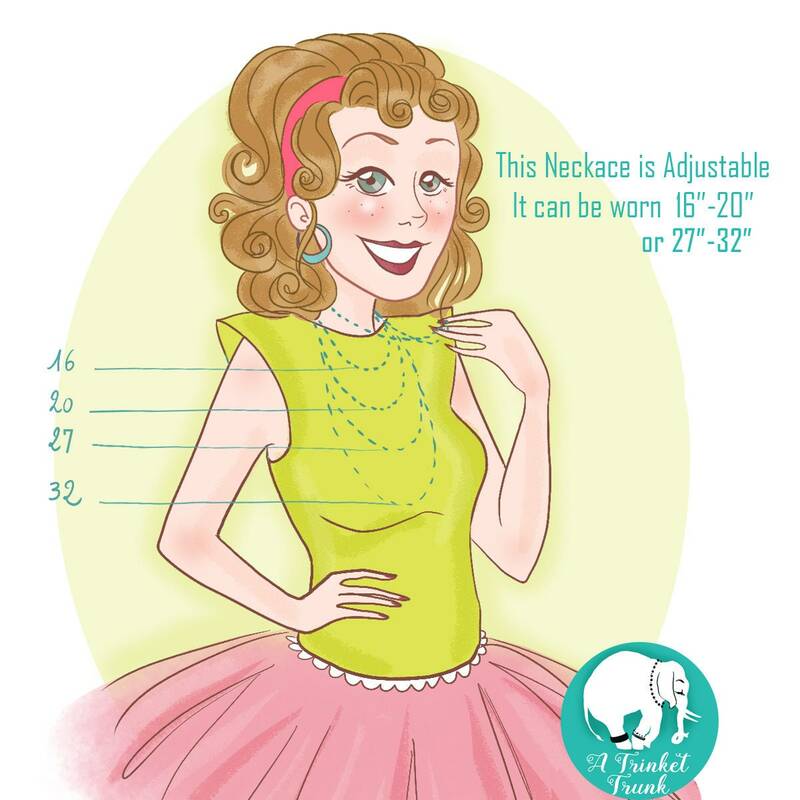 - Choose the adjustable length of your necklace. 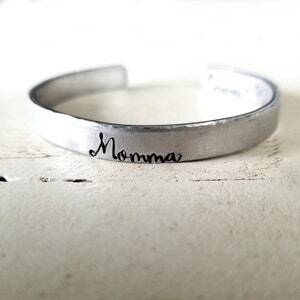 -Each letter and design is stamped by hand, one at a time, infusing intention and love into every piece. Because each piece is handcrafted, no two sets are exactly alike. To help prevent tarnishing (which is common in pieces with silver, copper, or brass) store your jewelry in a sealed plastic bag and polish regularly. Do not wear your jewelry in the shower, pool, hot tub, or to the gym. Minimize your jewelry contact to chemicals such as perfume and lotion. 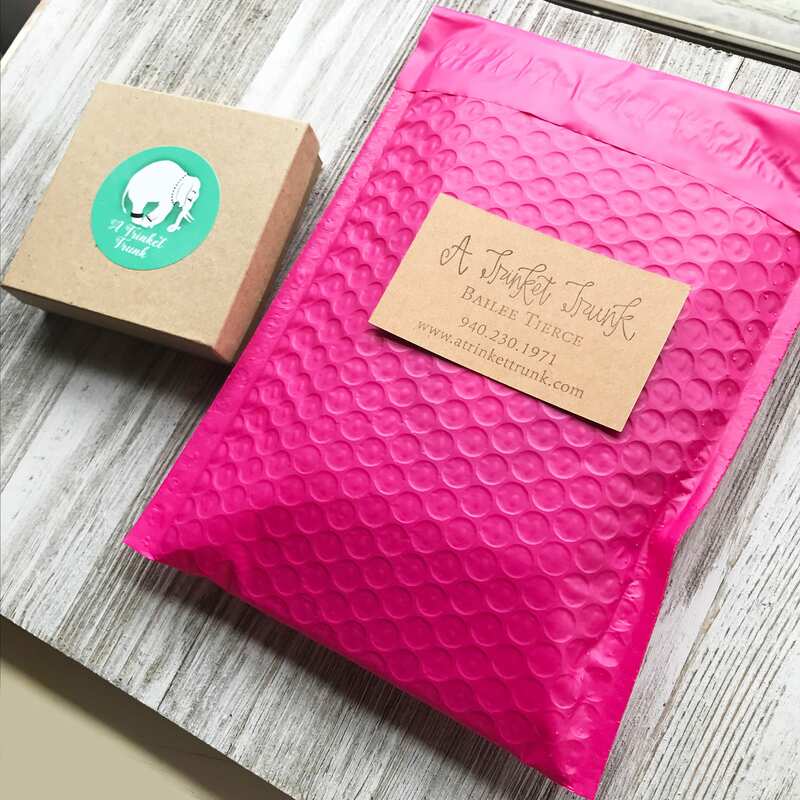 Each item will come packaged in a brown paper box with A Trinket Trunk logo sticker on the top. Please let me know if this is a gift going directly to the recipient, and I will gladly include a note from you. 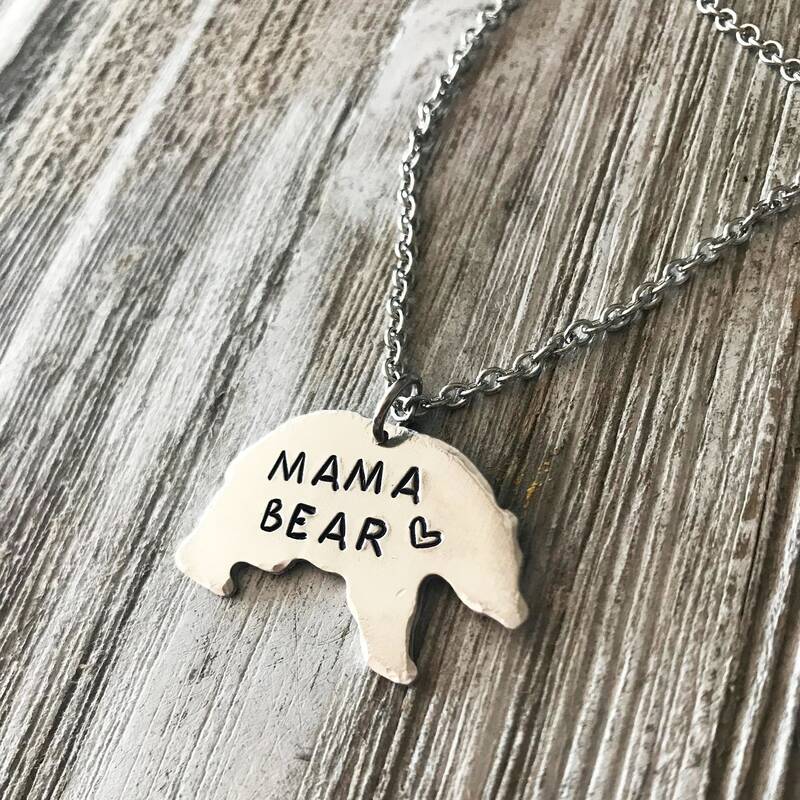 We love making custom orders. Please message me if you would like something custom made and I will send you a link to your order in the message. All orders coming from the states of Kansas and Texas will be charged state tax rates. All other orders will be responsible for the tax laws enforced by their state. -Gold filled can be gold or rose gold in color. -Gold filled jewelry has an actual layer of 14k gold that has been pressure bonded to another metal. -It is much higher quality than gold plated or silver plated jewelry. -This product is easy to care for and can keep it's shine for a lifetime. - Because of the gold layer, it does not tarnish & oxidize like silver or brass. - It can be cleaned if necessary with mild soap and water. -Gold and silver plated jewelry is a base metal (usually copper) covered with a very thin layer of gold or silver. -It is very popular and commonly used. -It is fairly durable, however the gold or silver covering will wear away with time. -Stainless Steel is silver in color. 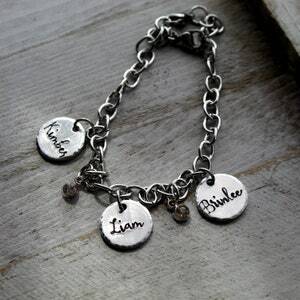 -It does not tarnish or oxidize. 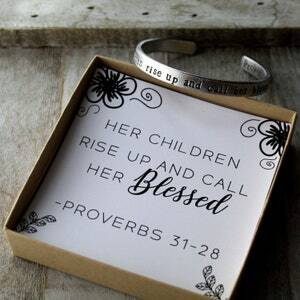 -Because it is hypoallergenic, stainless steel is used in our children's bangles. 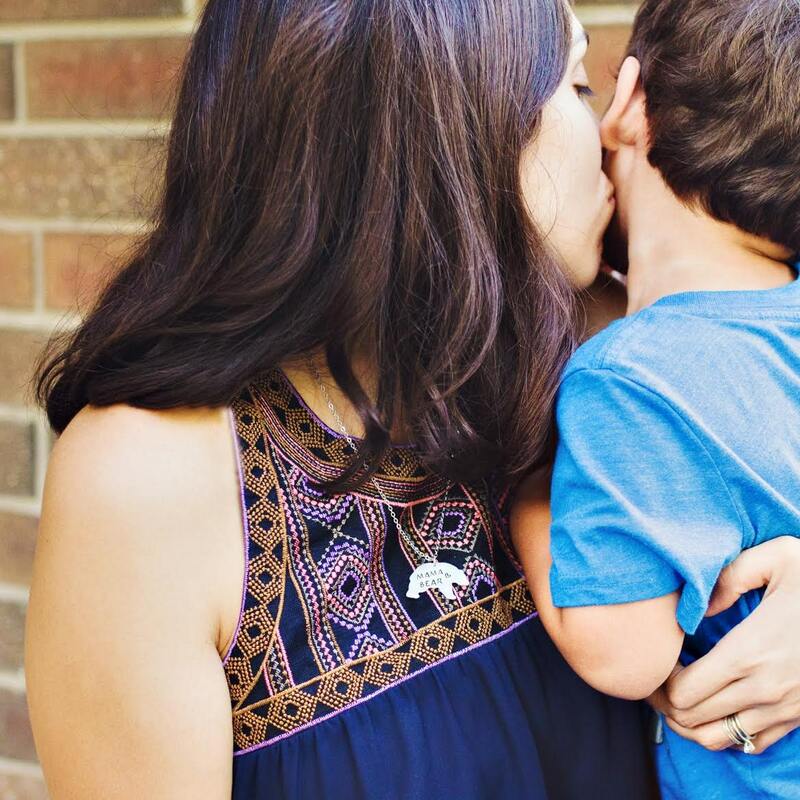 -Most of our earrings are made with stainless steel backs. -Stainless steel is very strong and durable. Aluminum is silver in color. -Aluminum is Lead and Nickel Free. -It will not tarnish or oxidize. -It is light weight and easy to care for. -We use a thick gauge aluminum so that your jewelry will feel sturdy and solid. -Brass is golden in color & Copper is pink/rose. -Brass & Copper will oxidize and tarnish when exposed to humidity. -Brass & Copper should be polished and stored in a sealed bag to keep it's shine. -Brass should never be worn in water. came quick very well made! Great shop to work with. 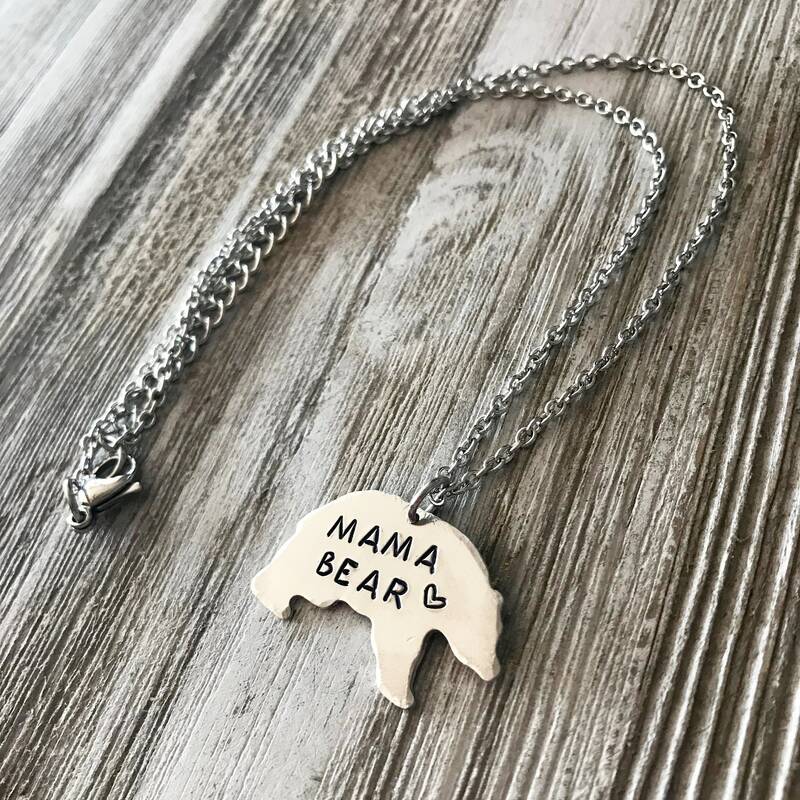 My husband and son surprised me with a gorgeous mama bear necklace for my birthday and I absolutely love it! 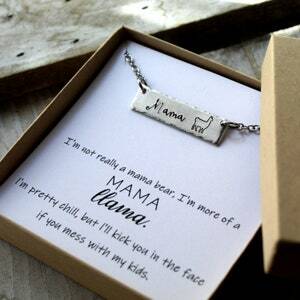 When I saw my necklace was a little too long, I contacted the shop and she helped me out. Quick turnaround time and great service! Highly recommend this shop!